You can use massage machine twice a day half an hour each time and every day . One cycle duration is 15 minutes . Normally two cycles at a time are sufficient with vibrations. The machine has a 15 minutes auto cut. Generally, one cycle is good enough for a normal user. If you have severe or chronic pain, then you can take two cycles at a time. Ideally, the machine must be rested for 20 minutes after every two cycles, to enhance the life of the machine's motor. Absolutely runs fine with the stated input. Well i am using it via spike cord for extra safety and precaution and also FYI the cable cord length is exceptionally short in length where you need to use extension or spike board to use. it runs on 220V & its power consumption is 60W . IT RUN ON NORMAL 220 V. 5 AMP POWER SOURCE . 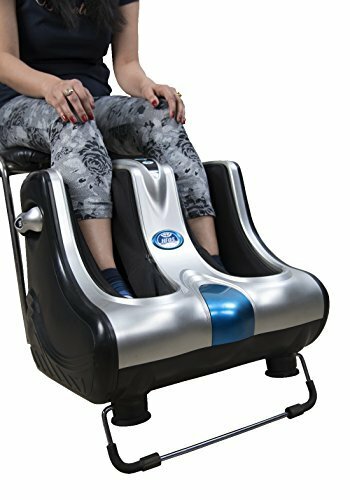 Does it have a roller or something to massage the base of the foot? 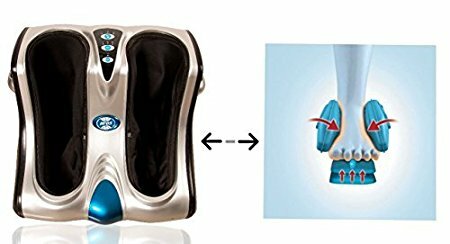 It has a vibration plate on the foot base, so it will vibrate on the foot and the feet and calves will be squeezed at the same time. Try foot scraper to clean all dead skin cells-White stuff and brush off with a bath sponge.Still if no better try foot massager. 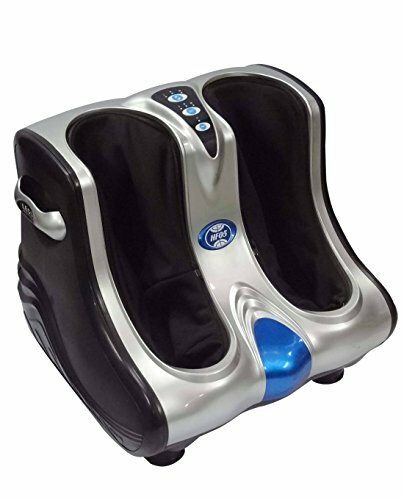 It works on calf muscles , foot & leg massager works well on calf muscels. 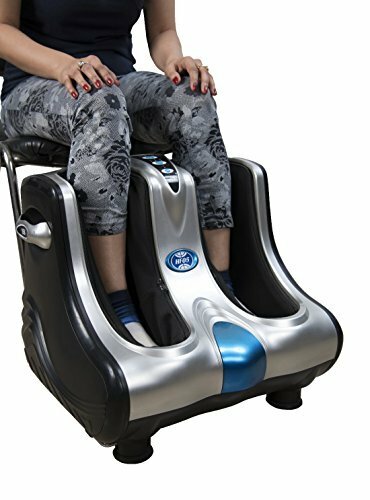 This foot massage is specially designed for your legs and constructed to be maintenance-free , you will feel at ease and comfortable after massage. Enjoy massage every day at home, tighten your legs muscles, make your legs look more beautiful and more spiritual. No period lubrication or servicing is required. Also known as Leg Beautician since it tightens your calves and makes your legs beautiful. No period lubrication or servicing is required. Very normal P S Grewal.Three kneading massage programs and three vibration modes.